No problem, will wait (im)patiently! BonaireDreams wrote: No problem, will wait (im)patiently! Looks like its around 90% complete .. Ill be waiting (im)patiently as well ..
Wonder how the chest works ? .. Maybe Ironchest replacement ? Edit: After little closer look there do seem to increase in size as well. Seem like a good replacement to me..
MrSapient wrote: Wonder how the chest works ? .. Maybe Ironchest replacement ?. The strongbox is a portable storage block. You can pick it up with a crescent hammer and it will keep the all the items in the strongbox. So u can put your strongbox inside a strongbox so u can store items while u store your items. I purposely made them obviously not like other chests in case there was a near clash with the colours of IronChests or whatever else. So that's why they're near-black and will remain so. 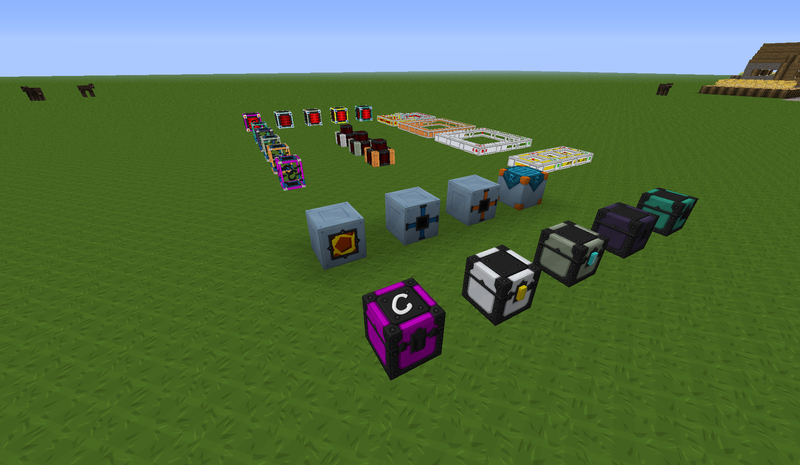 Only 10 more GUI's .. So close i can already see it!